LuxSci’s authenticated smart hosting service has been enhanced to provide full compatibility with outbound SecureLine automatic email encryption, per-user taglines, per-user sending limits, per-user SMTP usage auditing, and more. It also makes integration with your existing email server or Exchange server very easy. This new “intelligent” smart hosting feature takes the stream of inbound email coming from your server through a single LuxSci SMTP user and determines which actual user is sending the message, based on the “From” address in the message headers. The message is then treated as if it was sent by and authenticated by the LuxSci user with that address. Use of a LuxSci “Intelligent” smarthost allows you to, for example, connect your existing Exchange server to your LuxSci account using a designated “smarthost user,” and then offers all of LuxSci’s great outbound email processing tools — all without your existing users needing to change anything. 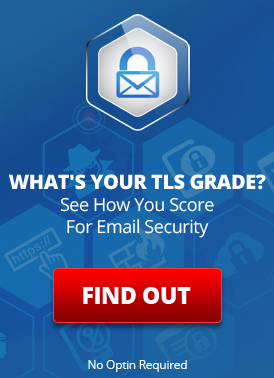 Secure Email: Automatic outbound email encryption via SecureLine. Get email compliance without needing to change email servers. Anonymization: Anonymize your messages to hide your server’s IP address. Protect yourself from blacklisting. Domain Taglines: Have domain-wide taglines and disclaimers applied to all outbound messages automatically. User Taglines: Have per-user taglines and disclaimers applied to outbound email messages automatically. Content Monitoring: Have the content of outbound email messages scanned for specific content (keywords, phrases, regular expressions). If that content is found, the message can be denied, automatically encrypted, and/or sent to an auditing email address. Email Capturing:* Have copies of all sent email messages copied to another email address of your choice for archival or auditing purposes. Works with LuxSci’s archival services. Recipient Restrictions:* Restrict what addresses your users can send email to. Either specify a list of denied addresses and domains, or a list of allowed addresses and domain. Message Size: Limit the maximum message size that your users can send. * These services, if enabled, also permit you to exempt certain people from being affected. You can get detailed reports of what email each individual user sent. Each individual user has his/her own sending limits. If a user hits his/her limit for some reason, that will not affect anyone else. Individual users are limited to sending at most 300 messages/day to at most 3000 recipients/day, by default. This also applies to the user that you are smarthosting through, unless that user has this new feature enabled, or unless you are using our High Volume service to have larger limits. This entry was posted on Monday, May 18th, 2009 at 8:06 pm	and is filed under New Feature Announcements. You can skip to the end and leave a response. Pinging is currently not allowed.